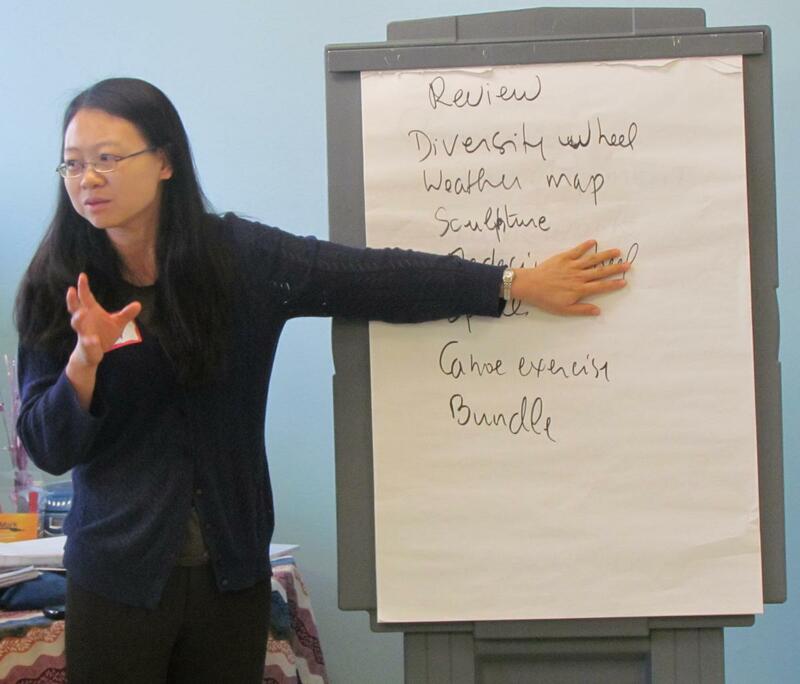 CAWI's facilitator network promotes positive change within Ottawa’s communities and organizations. 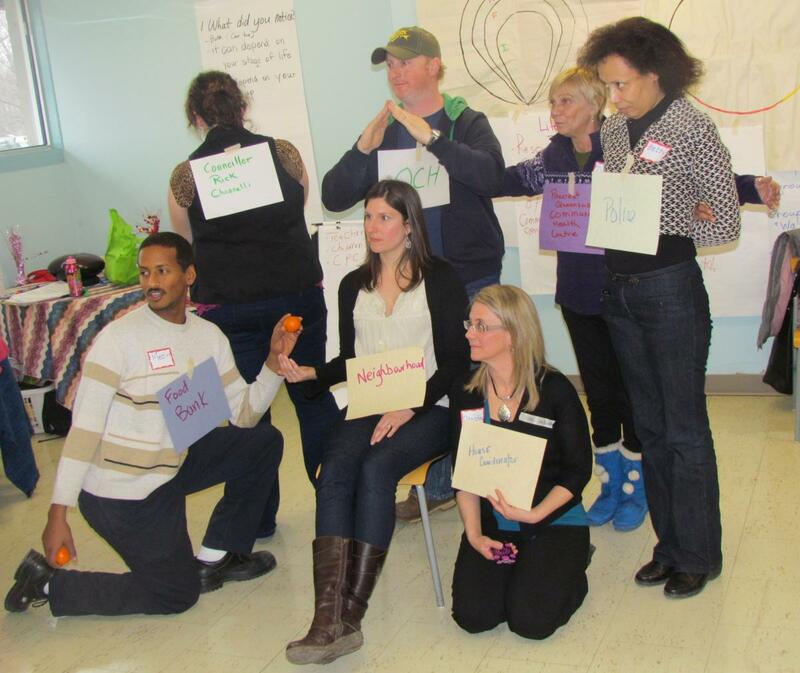 Facilitators bring their lived experience and perspectives to help others reflect, learn and take action. The facilitators meet on a monthly basis. CAWI's facilitation approach is grounded in principles of inclusion. It promotes Education for Change. This begins with the experience of participants and seeks to add new knowledge and makes plans for action. For more information on our approach, see our "Community Facilitation Guide: Weaving Threads of Inclusion". Payments for service provided, generates income for the organization and compensates facilitators for their contribution. This three-year project, funded by the Community Foundation of Ottawa, is strengthening the capacity of women across diversity to be catalysts of change for organizations and the wider community. Funds from this project enable CAWI to mentor and coach women; develop and implement tools for assessing facilitator skills; grow a facilitator network where women learn from each other; and develop new workshops to address emerging needs. Training City of Ottawa staff to facilitate workshops for management and city staff preparing to implement the City of Ottawa Equity and Inclusion Lens. Designed and facilitated focus groups in five languages on barriers to voting for low-income residents. Training Community Engagement Ambassadors on ways to engage their neighbours in the municipal election. Health Equity Training for staff and boards of seven community health and resource centers. Training in Equity and Inclusion for City Council and senior management of Lethbridge, Alberta. Training for neighbourhood residents and community developers in the implementation of Creating the Change We Want, a resource guide for creating positive change in neighbourhoods. CAWI co-created this guide with residents and Pinecrest-Queensway Community Health Center (PQCHC), for Ottawa's Community Development Framework. Designed and trained resident leaders and community developers in the facilitating of Making Votes Count Cafes. Planning sessions for a range of organizations. Facilitated self-awareness and body mapping workshops with women living in low-income, multi-cultural neighbourhoods to assess their experience of violence and strategies for addressing it. The findings informed a project co-sponsored with United Neighbours of PQCHC, funded by Crime Prevention Ottawa. Co-designed Igniting the Spark, a workshop to inspire women from diverse communities to run for political office and support other women running. Co-designed in partnership with Canadian Labour Congress, Equal Voice, and Federation of Canadian Municipalities. Training in Civic Participation, why city government matters and how to make our views known. Workshop on Community Development for international participants sponsored by the Nobel Women's Initiative. Training in Youth Advocacy for Boys and Girls Club of Ottawa and Somerset West Community Health Centre. Workshop on Being a Community Advocate for the Ottawa Community Housing Tenants Forum. Designed, facilitated and analyzed focus groups in multiple languages to inform City of Ottawa Recreation Plan.